An acm file extension is related to the Visual SourceSafe a source control software package oriented towards small software development projects. A .acm file stores module. The acm file extension is associated with the Visual SourceSafe application package developed by Microsoft. Microsoft Visual SourceSafe (VSS) is a source control software package oriented towards small software development projects. Like most source control systems, SourceSafe creates a virtual library of computer files. While most commonly used for source code, SourceSafe can actually handle any type of file in its database, but prior versions have been shown to be unstable when confronted with large amounts of non-textual data (images, binary executables, etc). 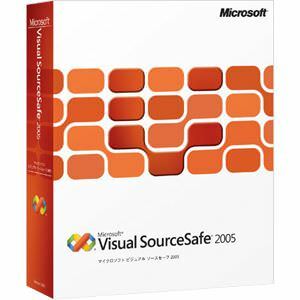 Microsoft Visual SourceSafe is source control software developed by Microsoft. SourceSafe creates a virtual library of computer files with restrictions to access and edit by users. It is useful for small software development projects. Use compatible tools to work with *.acm files. Click on the tab below to simply browse between the application actions, to quickly get a list of recommended software, which is able to perform the specified software action, such as opening, editing or converting acm files. Programs supporting the exension acm on the main platforms Windows, Mac, Linux or mobile. Click on the link to get more information about Visual SourceSafe for open acm file action. Programs supporting the exension acm on the main platforms Windows, Mac, Linux or mobile. Click on the link to get more information about Visual SourceSafe for create acm file action. Click on the software link for more information about Visual SourceSafe. Visual SourceSafe uses acm file type for its internal purposes and/or also by different way than common edit or open file actions (eg. to install/execute/support an application itself, to store application or user data, configure program etc. ).